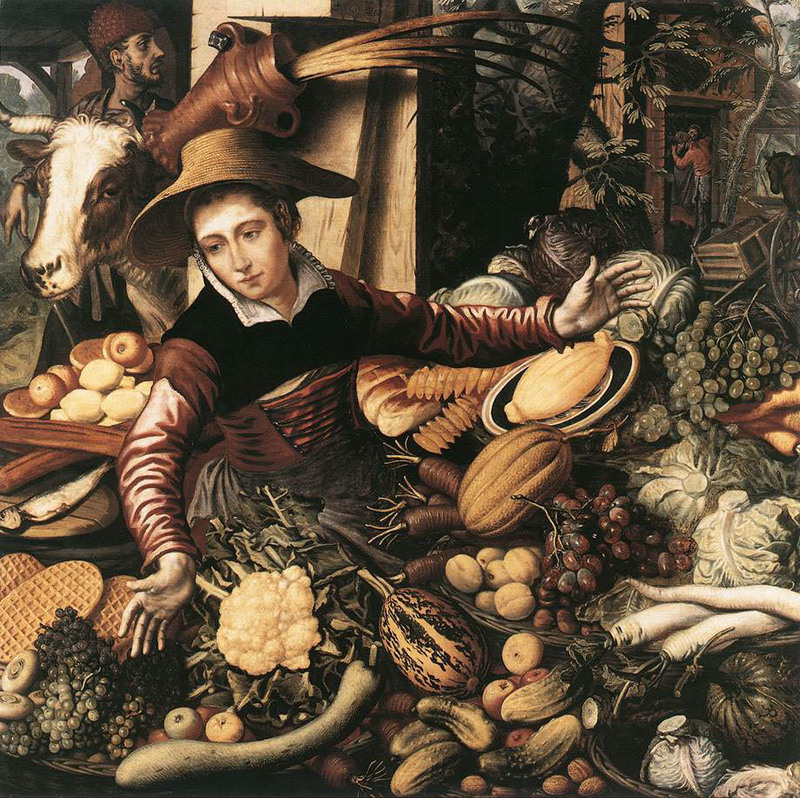 Pieter Aertsen (1508-1575) ,pintor holandés. 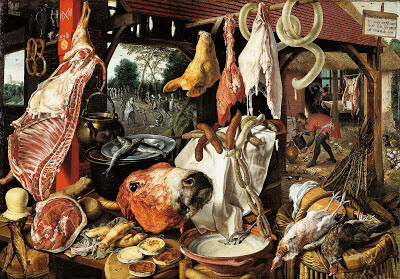 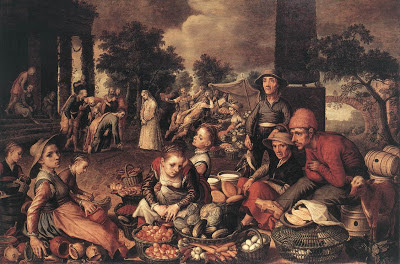 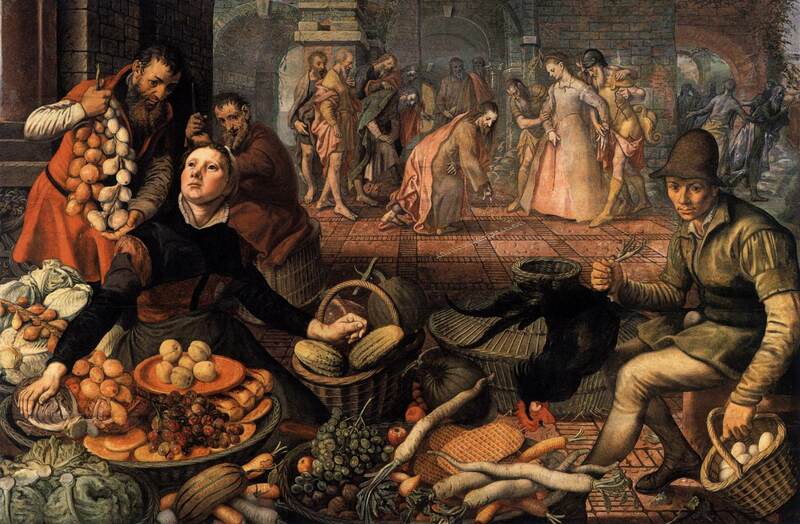 Butcher's Stall with the Flight into Egypt.1551. Peasants by the Hearth.1560s . 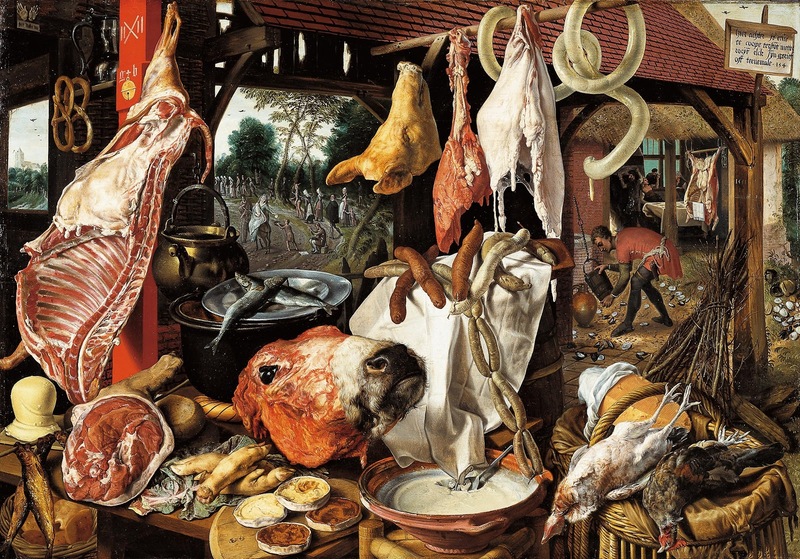 The Fat Kitchen. 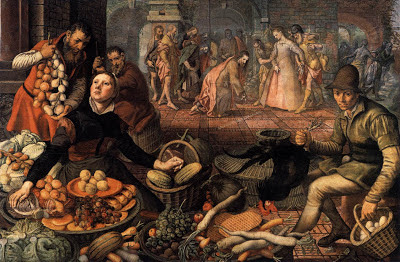 An Allegory.1565-75.